Make magic this autumn when you dig into the essential guide, Taste of Home Halloween! 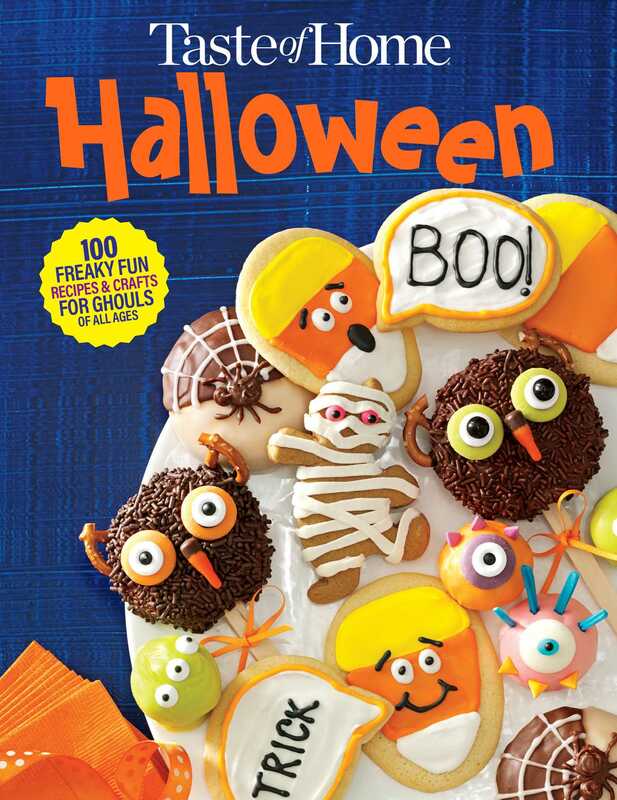 Here you’ll find dozens of spooky, cute, spirited and fun Halloween foods to delight boys and ghouls of all ages. We tossed in top pumpkin-carving tips and party ideas, too! To round out the collection, cozy up with some of the best-loved recipes from the slow cooker as well as the pumpkin patch. Fall flavors abound in this keepsake collection of 100+ scrumptious recipes. And, the book concludes with a Day of the Dead bonus chapter brimming with lively Mexican flair!